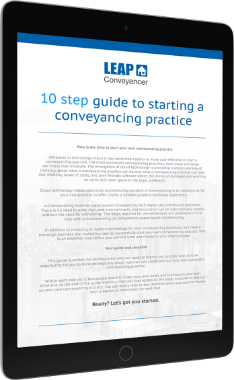 LEAP Conveyancer combines world-leading technology with a comprehensive library of content, enabling your practice to produce conveyancing documentation quickly and consistently. LEAP Conveyancer provides an extensive range of up-to-date, automated forms and precedents which you can modify to suit your needs, making document production easy, accurate and fast. LEAP merges data from your electronic matter into a document, to produce your form. LEAP Conveyancer integrates seamlessly with Microsoft Outlook, MS Word and MS Excel so you can create automated legal documents in any format. Automatically merged data makes creating documents quick, accurate and stress free. LEAP Conveyancer has advanced document production capabilities which merge data from your matter and complete complex calculations for you, eliminating costly manual mistakes. You can trust LEAP to create accurate documents every time. You can access the most up-to-date form directly from your electronic matter in LEAP. This includes highly sophisticated forms such as Settlement Adjustment Sheets. Integration with over 2,000 precedents including access to Reference Manuals, including 1001 Conveyancing Answers for QLD, NSW & QLD.